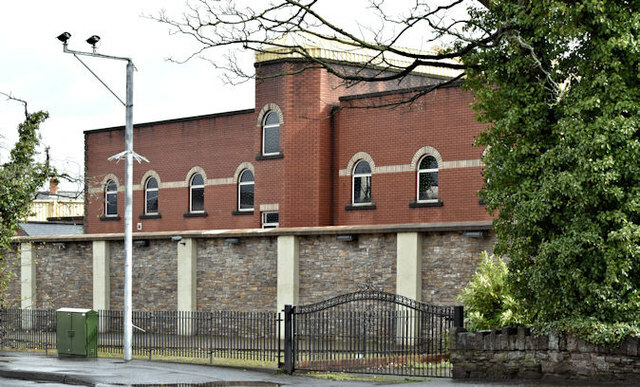 See J3471 : The mothballed Ballynafeigh (Ormeau Road) PSNI Station (February 2015). The main building facing the Ormeau Road. A former police station at 332 Ormeau Road. There is the following planning permission (7 February 2019) "LA04/2018/1415/F Demolition of former derelict Police Station and the erection of a mixed use development comprising 2No. buildings with a total of 57 apartments. Block A comprises 33No. apartment units with 3No. ground floor café/restaurant/retail units. Block B comprises 24no. apartment units. Development includes communal landscaped courtyards, landscaping, basement car parking and all associated site and access works. Former Ballynafeigh Police Station 332 Ormeau Road Belfast BT7 2GE".